Yo Yo Honey Singh Attends Kapil Sharma's Wedding Reception! Home BOLLYWOOD Yo Yo Honey Singh Attends Kapil Sharma’s Wedding Reception! Yo Yo Honey Singh Attends Kapil Sharma’s Wedding Reception! The ace composer Yo Yo Honey Singh shares a great rapport with Kapil Sharma and both have respect for each other’s work. Yo Yo Honey Singh’s song Makhna was also a talking point at Kapil’s reception. 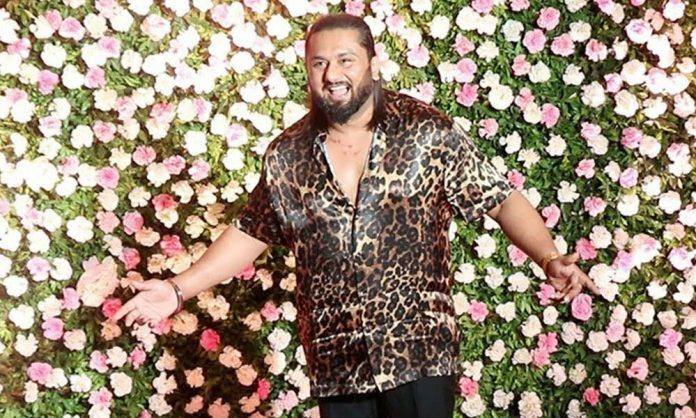 Yo Yo Honey Singh who has also recently treated the audience with his song ‘Makhna’ has received all the love and praises from his fans. This year, Yo Yo Honey Singh made a splash with the song Dil Chori Sada from Sonu Ki Titu Ki Sweety which has got 350 million views on You Tube. Honey Singh also released the recreated version of Urvashi recently featuring Shahid Kapoor and Kiara Advani. Previous articleYo Yo Honey Singh And Bhushan Kumar Give A Perfect Treat To Fans With Makhna!